Includes a Table Top Tripod, Camera Adapter, Carrying Case, Lens Cleaning Cloth and Smart Phone Adapter. 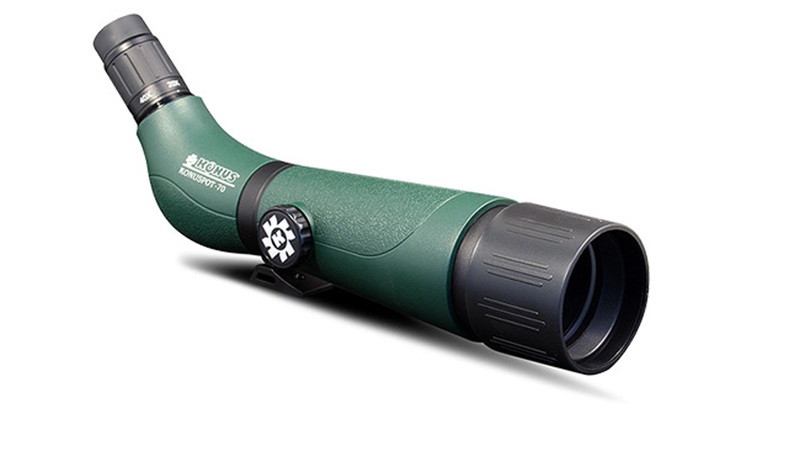 The KonuSpot 20X-60X70 is a powerful spotting scope with high image definition. Multi-coated optics increase brightness. Increased resolution provides a clean, clear image at astounding distances, just not found with other scopes. A durable metal body with rubber armor, provides an antishock barrier for long term use. The comfort of a 45 degree eyepiece is invaluable when seated or using for prolonged periods of time. The sleek, European design will appeal to hunters, birdwatchers, and nature enthusiasts alike. 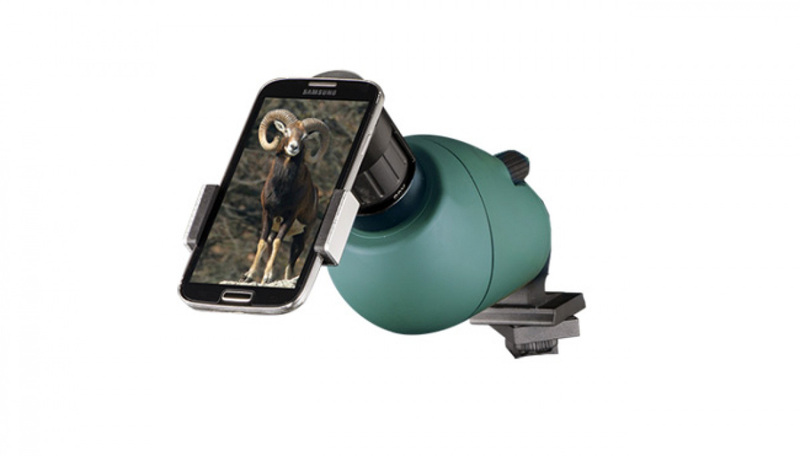 An included camera adapted (requires optional T2 ring) turns your spotter into the ultimate telephoto lens. An included table-top tripod gets you ready in no time, and the included carry case stores everything for easy portability. The #7121 is a new zoom spotting scope with innovative design and versatile zoom power that make it the perfect choice for hunters, birdwatchers and nature enthusiasts that are looking for the most rewarding outdoor experience.